5 Tips: Kids Sleep Schedule | Back to Basics Learning Dynamics, Inc.
5 simple tips to get kids back to sleep in time for back-to-school! Of course, adequate sleep is essential for learning. And, sleep deprivation often results in inattentiveness, behavioral issues, poor grades and even depression. The importance of a solid sleep schedule and adequate sleep simply can’t be overstated. According to WedMD, “Sleep is no less important than food, drink, or safety in the lives of children. Although this may seem apparent many of us actually do not allow our children to get the critical sleep they need to develop and function properly.” Scary words for parents everywhere! 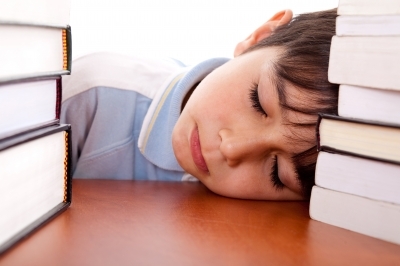 With school just around the corner, the need for adequate sleep is even more important. So, how to best get kids of all ages to sleep? Follow these guidelines and soon your child will be… sleeping like a baby! Back to Basics Learning Dynamics offers over 125 unique educational services, the widest array of educational options in the tri-state area including: 1-on-1 tutoring in over 60 subjects, translating and interpreting in 21 languages, speech therapy, occupational therapy, behavior specialists, reading specialists, ELL teachers, homebound services, and psycho-educational testing. In addition, Back to Basics offers exceptional, 1-on-1 test prep for tests including the SAT, PSAT, SAT II, ACT, GRE, PRAXIS, GED, and HSEE. Back to Basics also offers summer school, original credit, and credit recovery, plus unique enrichment options and professional development. And, Back to Basics operates Delaware’s only Department of Education-approved, 1-on-1 K-12 Private School in Wilmington, Delaware. Is the ACT the right test for your college-bound teen? Here’s what parents need to know!